The full ceramic tank Yocan Cerum Atomizer offers unparalleled clean taste. 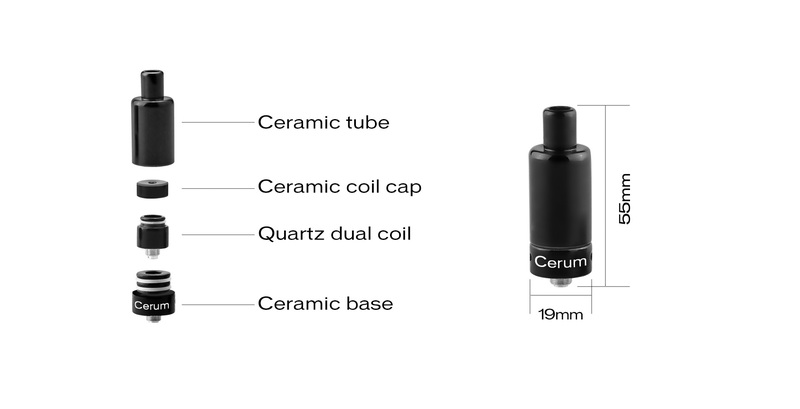 With 2 dual quartz rod coils the Cerum is where power meets flavor. 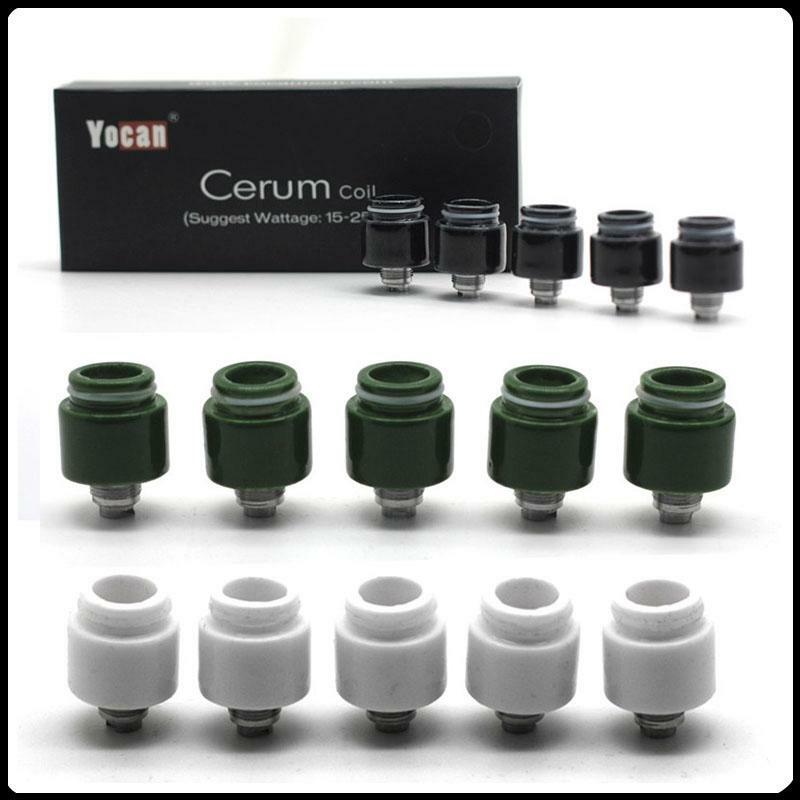 The Yocan Cerum is a fully ceramic 510 threaded wax atomizer for that comes with two dual quartz vape coils. The suggested wattage is between 15-25 watts. Try using it on our Kamry Box mod or SteamCloud and you’ll be very satisfied dabbing your shatter or crumble. 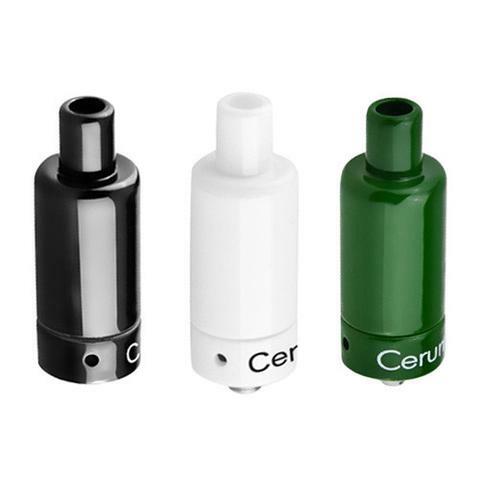 All parts to the Yocan Cerum wax atomizer are made of ceramic. Easy to remove top tank. Just need to pull it off. No stickiness. 510 threaded connection is compatible with all standard box mods and batteries. Next, you want to screw the atomizer onto a box mod or standard 510 battery. 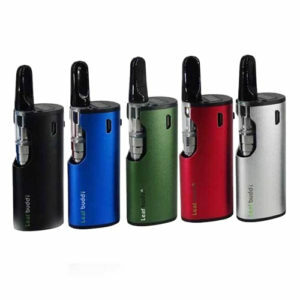 Screw on the Cerum wax atomizer and then press and hold the power button of the box mod or battery. As long as it heats up. It’s ready to be used. Once you know it can be used, load your shatter or crumble inside the vape coil. Cover up the coil with the outer piece. Lastly, once everything is loaded and screwed on tightly, you can press and hold the power button. After two seconds you may begin vaping your wax vape pen. Cleaning your wax atomizer is never easy. Everytime you finish your vaping your wax pen, you need to make sure that you try to burn off all the residual wax so that the vape coils don’t get too much build up. When the vape coils are cooling down the residual wax hardens and becomes harder to burn off the next time. So your goal should be to burn off as much as possible. 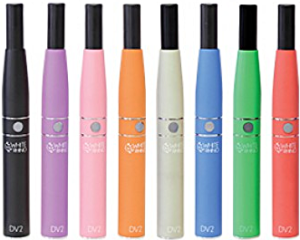 The reason why an extra dual quartz coil is included in the kit is that over time, no matter what you do, the coil will have too much build up and you will need to replace it. It will still work, but for people who vape daily, they’ll want to change coils and have a fresher taste. 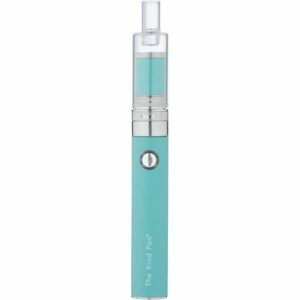 WHAT TYPE OF BATTERIES WILL FIT WITH MY YOCAN CERUM WAX ATOMIZER? You can use any 510 threaded battery for your Yocan Cerum, but we strongly suggest using a box mod. If you use a standard 510 threaded battery, the highest wattage they have are around 7 watts. The suggested setting on a box mod for the Yocan Cerum is 15 – 25 watts. If you don’t have a box mod you can try one of ours. Click on a few listings below to see which box mod you’d want to buy. WHY BUY A YOCAN CERUM WAX ATOMIZER? The Yocan Cerum Wax Atomizer’s dual quartz coil gives you the cleanest and best tasting vapor. It packs a punch with up to (a recommended) 25 watts of power and it is 510 threaded so it can fit on top of most box mods. It’s definitely a solid choice for any wax vape fan. If you want to learn more about the Yocan Cerum, head over to the Vaporizer Learning Center to check out the review.